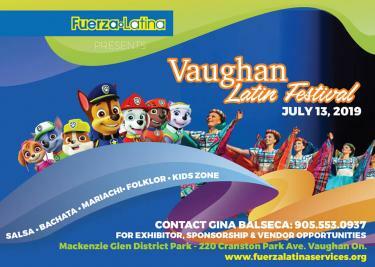 The Vaughan Latin Festival includes a full program of Latin activities in an energized and festive Latin atmosphere. The Opening Ceremonies will be at 2pm., followed by “Bridging Theme” Parade at 2:30 pm. 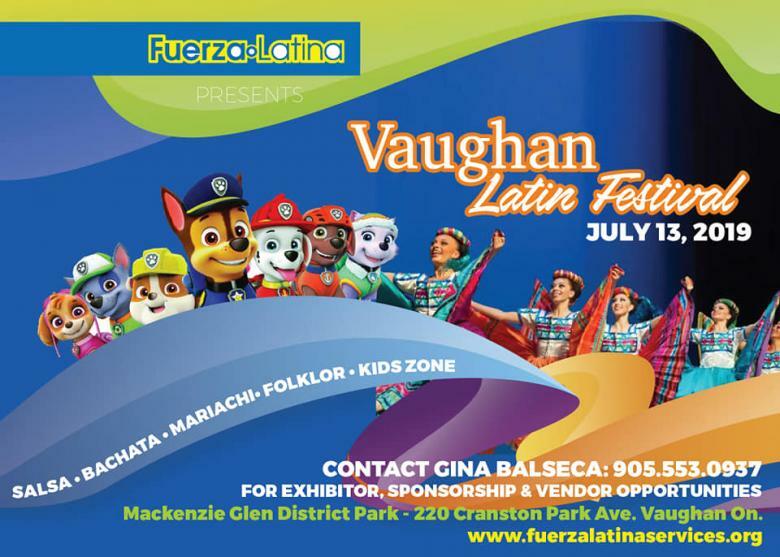 A terrific show will be held throughout the day with the best in Latin entertainment, as well as a delectable selection of Latin food, cultural presentations, Kids Zone. These community events create a sense of unity, enhance culture and generate income and exposure for businesses in the community.